The concept MOBILITY has been developed from a perspective of integrative solutions for all versions. The research task has come a reverse path than usual. We started from the vision, the study and development of the collective work situations with multi-station configurations, to finally arrive at the concept of personal work with individual posts, keeping the same line of thought. 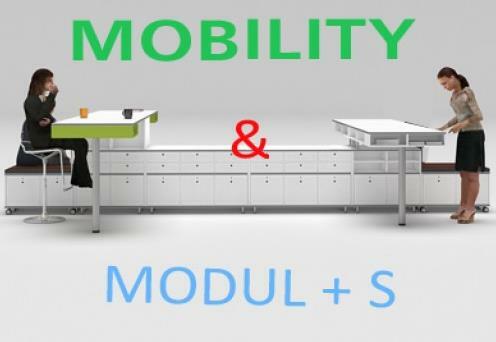 Features such as: generous electric wiring solutions, high table lifting systems and multiple configurations, make the MOBILITY an easily recognizable product by its technological and attractive solutions.